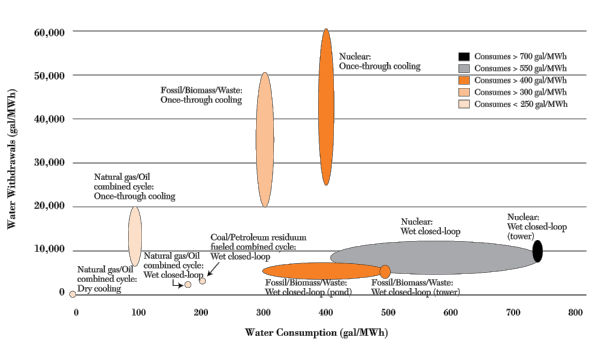 Nuclear power plants withdraw and consume the largest amounts of water, followed by power plants that use fossil fuels (coal or oil), biomass, or waste. Natural gas-fired power plants tend to use the least amount of water. Source: Electric Power Research Institute's "Water & Sustainability (Volume 3): U.S. Water Consumption for Power Production-The Next Half Century."